One of our most popular movements for children! 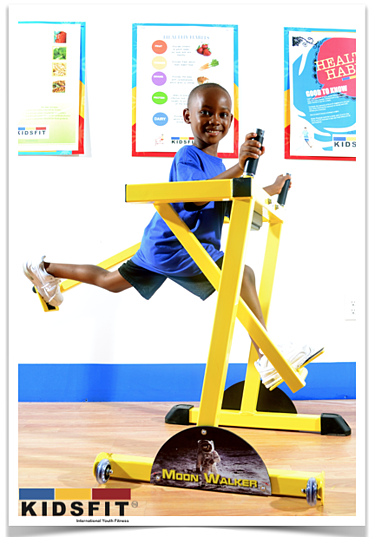 The Moonwalker utilizes flexion and extension of the lower extremities while kids work on stride length, control and differentiation. Also available in a rehab model with range limiters for physical therapy. Moonwalker Plate side plate is made out of heavy duty plastic for safety.